North Korean hacker charged and sanctioned for his illegal activities online. 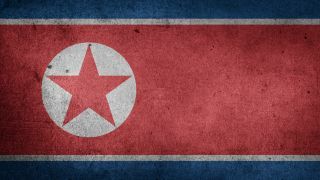 The US government has charged and sanctioned a North Korean man who took part in 2017's global WannaCry ransomware attack and in a cyberattack on Sony in 2014. According to the criminal complaint filed against Park Jin Hyok, he worked as part of the team of hackers known as the Lazarus Group responsible for tying to breach multiple US businesses. In 2016, Park broke into the Bangladesh's central bank and unsuccessfully targetted defence contractor Lockheed Martin. The US Treasury Department has imposed sanctions against Park and Chosun Expo the Chinese-based front company he worked for. US officials revealed that North Korean hackers were responsible for a major cyberattack against Sony Pictures back in 2014 over its film “The Interview” that depicted North Korean leader Kim Jong Un in a less than flattering way. Park was quite upset over the film's content and used a series of online personas on social media platforms to send malicious links that contained North Korean malware to individuals involved in its production. He then later launched a similar social media-focused attack against employees of AMC Theatres which was showing the controversial film. The US government's decision to charge Park for his work in both the WannaCry attack and the Sony Pictures hack is part of its strategy to name and shame those behind cyberattacks to deter other from taking similar actions. We will likely hear more on Park's case once it goes to court.